Beat tasting BAR out there! Let's be honest, we all know why we're here. We know the effects of BCAA and we know it should be a staple in our supplement stacks, BUT if death had a taste, it would taste like BCAAs! Well, not anymore - I'd just about given up on raw BCAA powder, opting instead for capsules, but prohibitive costs forced me to reassess the powder situation. I'd heard this was a stomacable so gave it a try, just to be on the safe side, I ordered some extra just in case. Yeah I didn't need the extra flavouring! I mixed 20g with 1.5L of water (additional 20g of pepto pro as well) and started shaking, low and behold it wasn't soluble, foamed at the top and "here we go again", I thought. Got in the car, headed for the gym and by the time I'd got there (about 10 mins) the liquid was spotless! Everything dissolved perfectly. The taste is non existant (MyProtein's berry blast flavouring isn't the best in the world, but if this was the extent of my worries, I was happy). 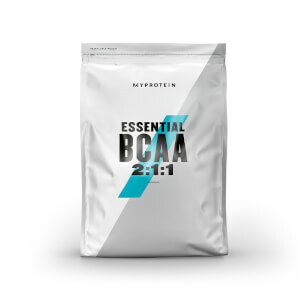 I kid you not, BCAAs are now, not only tolerable, but quite enjoyable. Top tip - add the water on top of the BCAA powder, shake and then let stand for 5 mins, shake again and you'll be good to go! Wizard! I got unflavoured as I hate the sickly sweet taste of sweetened supplements. WOW did these BCAAs taste bad! At first I wondered if it made my breath smell even! It doesn't mix in particularly easily either - I mix with water and it will take some good shaking to stop it from just sitting on the top there in an unattractive lump. Keep shaking and it eventually mixes in (or leave for a bit and shake again). Having said all this I did think this supplement was particularly effective. Perhaps it was psychosomatic but I felt like I was working out harder and more effectively when I used the BCAAs. I am small and find it hard to put on muscle and maintain weight, which is why I tried this product and my perception has been that they are effective and I would purchase again. Recently bought these after making the switch from regular BCAA powder. 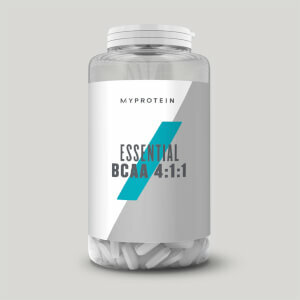 The 4:1:1 option is noticeably better for helping my aches and pains after hard gym sessions. 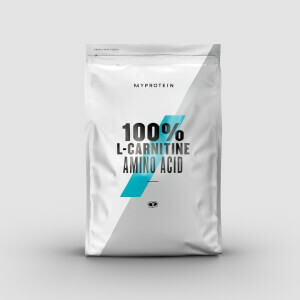 Recovery is reduced a little more than the BCAA 2:1:1 for me personally and I've noticed a difference in reduced body fat % so I'm guessing this played a role with acetyl l-carnitine. I'd recommend starting with the 2:1:1 powder for beginners still, but when progress starts showing I'd definitely recommend changing to the 4:1:1 formula. Excellent product. Been using it for years however for some reason you only seem to be able to buy non flavoured now. As someone else put, the unflavoured version tastes extremely chemical like and is like letting a paracetamol dissolve on your tongue. Please bring back the flavours as this product is now unpalatable. Excellent product effectiveness, but we need the flavours back! Leucine (which is the ‘4’ for those that don’t know) tastes like paracetamol when you accidentally bite into it. I take 3 scoops pre workout, for me personally nothing else even comes close. I mix it in a small water bottle and shake the life out of it for 30 second's, seems to be the best way to make them mix up, taste is nothing to get excited about but I couldn't care less about the taste, just drink it and be done with it. Buy this and watch the gains, just make sure you have your diet in check and you will be good, clean bulking is way to go in 2016. I bought the so call unflavoured to mix with my shakes. No matter what you mix this with it has an overpowering Taste which is truly horrendous. How the Myprotein can sell this and expect people to drink it I'll never know, honestly have never tasted anything so bad before. Do not waste your money like me!